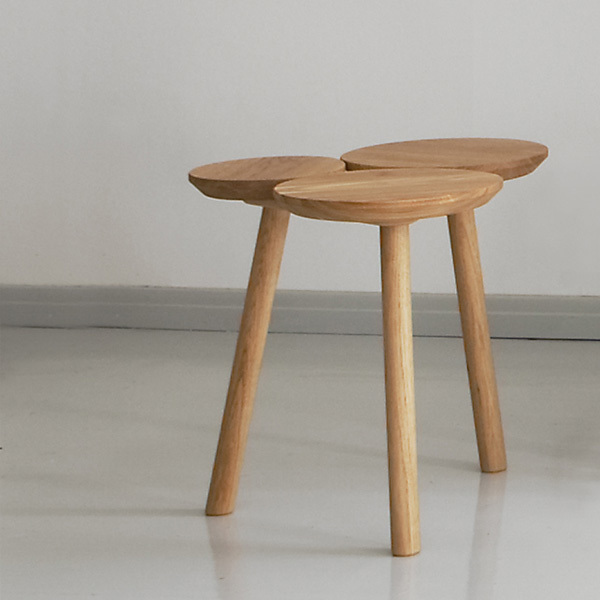 Nikari's July stool was designed by Nao Tamura. 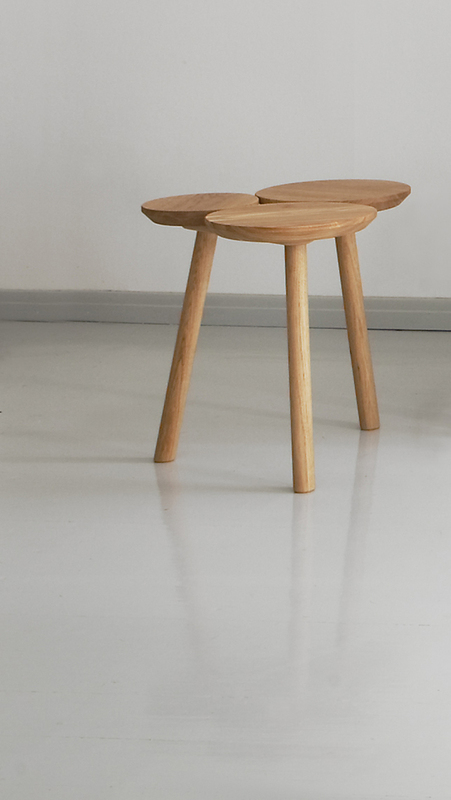 The three round elements of the stool are different not only in size but also in texture and hue – together they create an interesting ensemble that celebrates the beauty of individuality. 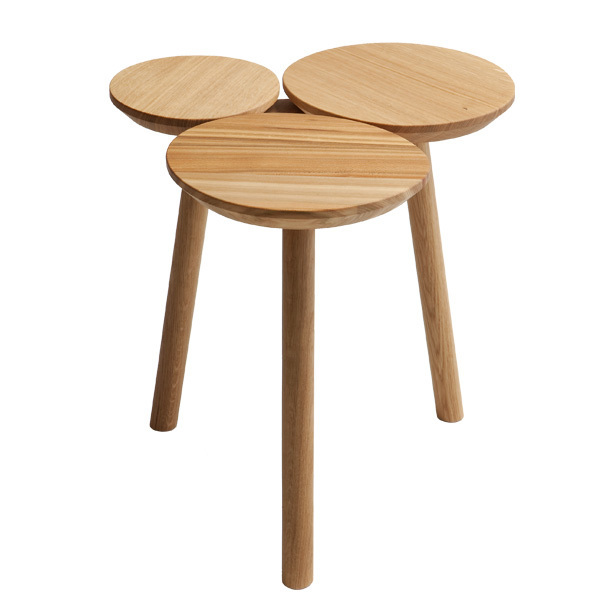 July also functions as a modern side table. Nikari asked twelve designers or design studios to give their response to Nikari’s design philosophy in the form of a product. 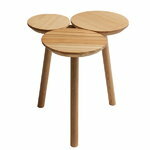 The project was called Project 2012 Designs for Nature: Nikari co-operates with the Finnish WWF and part of the sales price is donated to protecting rainforests and forests globally. 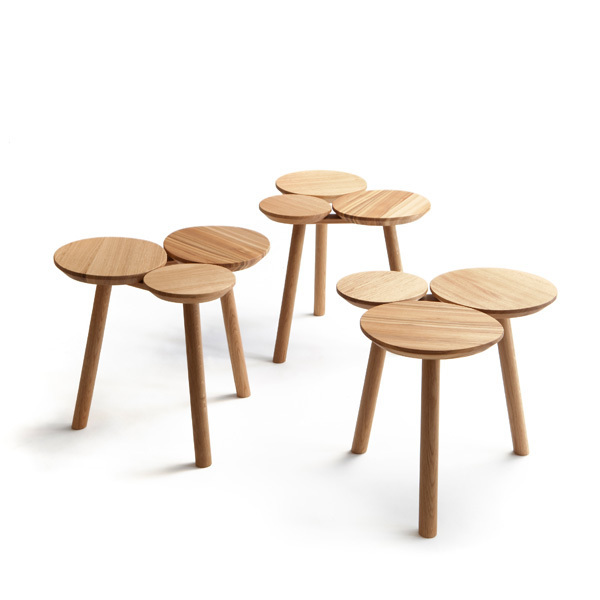 Nao Tamura studied communication design at Parsons School of Design in New York. She founded her studio in Tokyo and is currently based in New York City. As a product of Tokyo and New York City creative communities, her solutions are equally at ease in the world of 2-D and 3-D with an uncanny ability to find that emotional connection with the audience. Tamura defies the kind of categorization that the industry status quo often insists upon. Her unique solutions possess a rare balance of innovation and beauty. 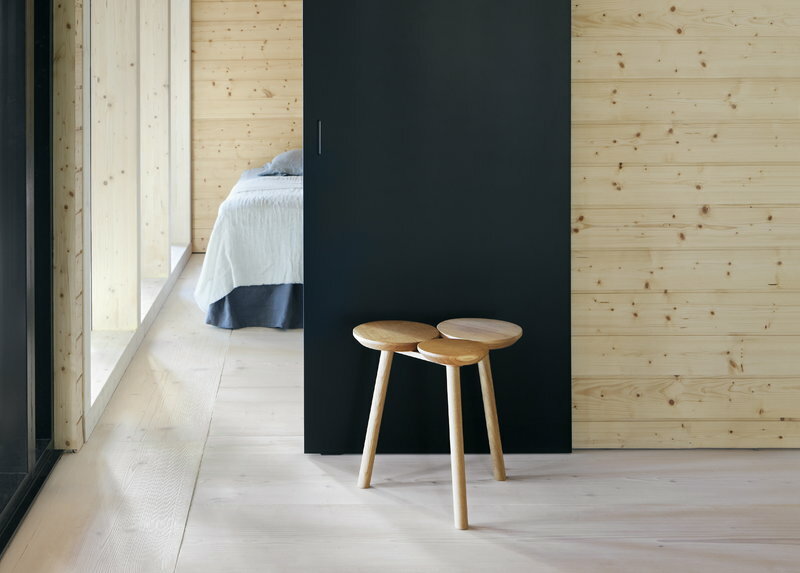 Nao Tamura has received a number of awards including the IF Award, Red Dot Design Award, Industrial Design Excellence Award and Milano Salone Satellite Award.